You remembered to take out the trash, you remembered to shop for groceries, you remembered to take your kid to soccer practice, you remembered to call your aunt and say ‘Happy birthday!’ and you even remembered to pick up the laundry. But during the exhausting yet successful completion of all said tasks, there is one thing you did not remember to do – fill up your car’s gas tank, and this usually means trouble. Much like the human body that can go only so far without sustenance, so does the car require gasoline in order to keep doing what is expected of it. When you forget filling your car with gas and hit the road nonetheless, out of gas services will usually soon be in order. When you get stuck without gas and with no viable option of getting to a gas station, bear in mind that Silverline Towing offers expert out of gas services anywhere in the East Bay. We perform our services with the cooperation of an independently owned and licensed tow truck operators. Our techs are highly professional and are using state of the art equipment, they will be able to offer you a gas delivery or an out of gas towing service to any location you ask. • Constant availability: Silverline Towing does absolutely everything for its customers. With us, there is no such thing as standard business hours. 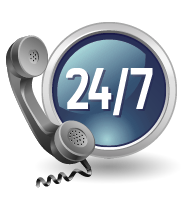 We are always available, 24/7, all year long. • Quick response: not only are we always available, but we also arrive quickly. Our amazing fast response time means you will get a professional solution almost instantly. • Competitive prices: getting excellent service and solutions should not come along with excessive rates. Silverline Towing provides superb out of gas services, along with many other solutions, for very competitive rates which fit every budget. • Local company: Silverline Towing is a locally held and managed company, which means we deeply care about what happens in the East Bay area. For any and every towing solution as well as roadside emergency service please do not hesitate to contact our 24/7 available call center at (510) 500 – 5665.